Security personnel have recovered around 59 can bombs and a powerful IED from Naxal-affected Latehar and Khunti districts, the police said, on 23 May. 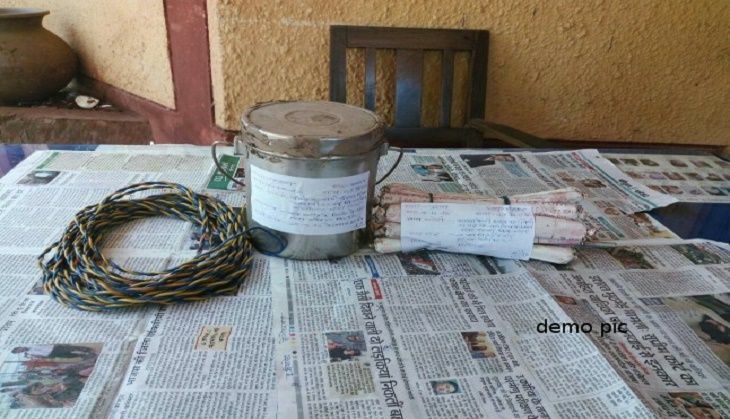 The can bombs, each weighing half-a-kg, were recovered late on 22 May from under the ground Serendaag jungles in Latehar district by CRPF personnel and District Armed Police force. The 40-kg improvised explosive device was found from near Jerko Musanga area of Khunti district last evening during a search operation. These recoveries were made during the on-going anti-Naxal operation being conducted since the last 20-25 days, Latehar Superintendent of Police, Anup Birtheray, said. Birtheray visited the spot where the can bombs were found and directed bomb disposal squad to defuse the bombs. The IED has been defused by the CRPF's bomb disposal squad, the police said. Birtheray said during the anti-Naxal operation so far, security personnel have seized around 200 IEDs, a huge quantity of ammunition of different bores, Naxal literature and other articles.